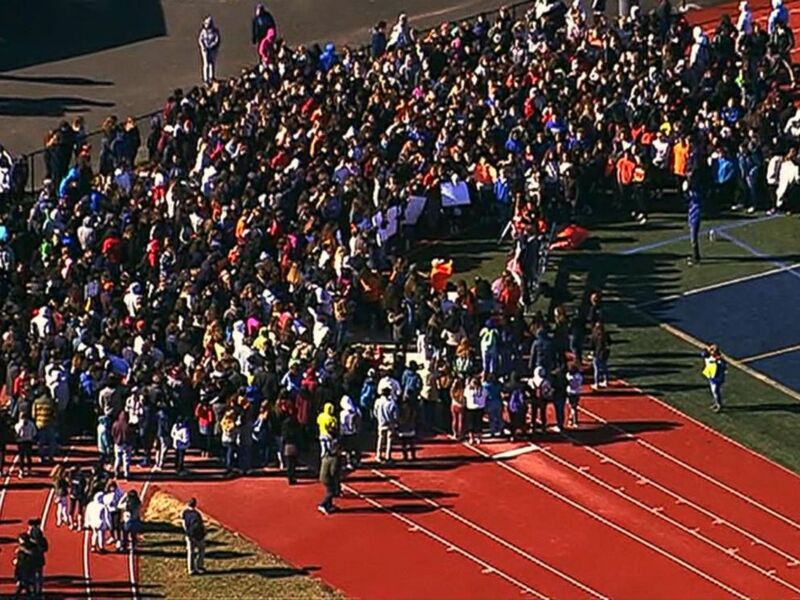 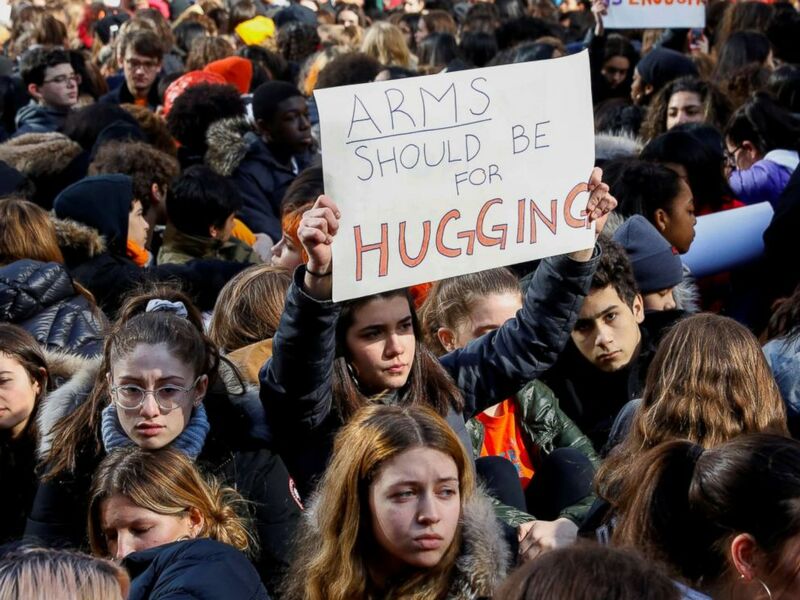 Thousands of students streamed out of schools across the country this morning to protest against gun violence in the wake of last month’s mass shooting at a Florida high school that killed 17 people. 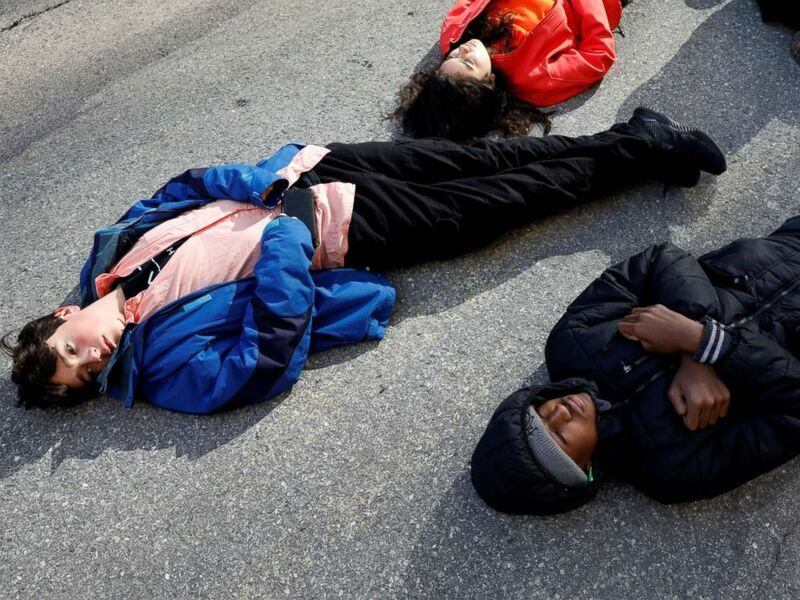 Students from Fiorello H. Laguardia High School sit down on West 62nd street in support of the National School Walkout in the Manhattan borough of New York, March 14, 2018. 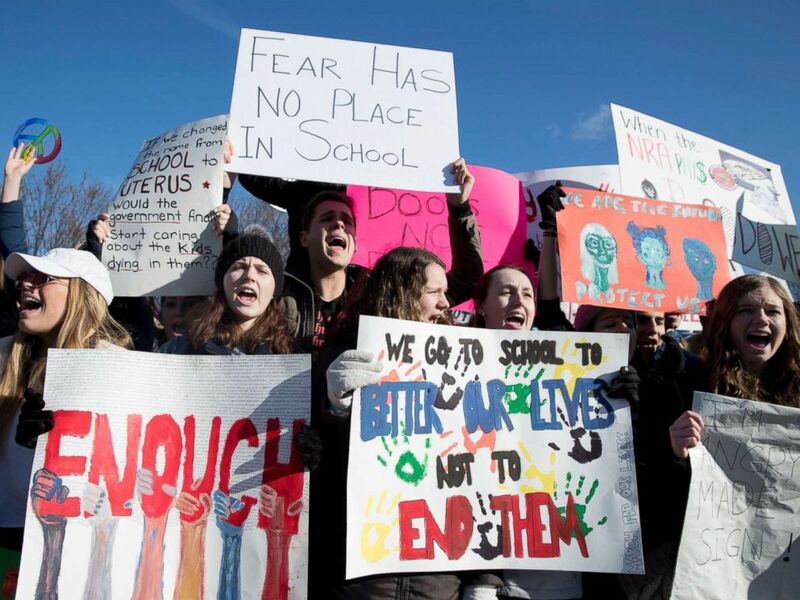 ABC Students gather in Parkland, Fla., for the National School Walkout, March 14, 2018.